You can feel confident knowing you are in highly skilled and caring hands when visiting Dr. Moosavi. Gentle, compassionate with exceptional attention to detail he takes great pride in his work and never settles for less than optimal treatment of his patients. From A to Z, he delivers excellent results and utilizes only the best dental material and laboratories. In addition, his emphasis on clear communication empowers you to make informed decisions and be an active partner in your treatment plan. 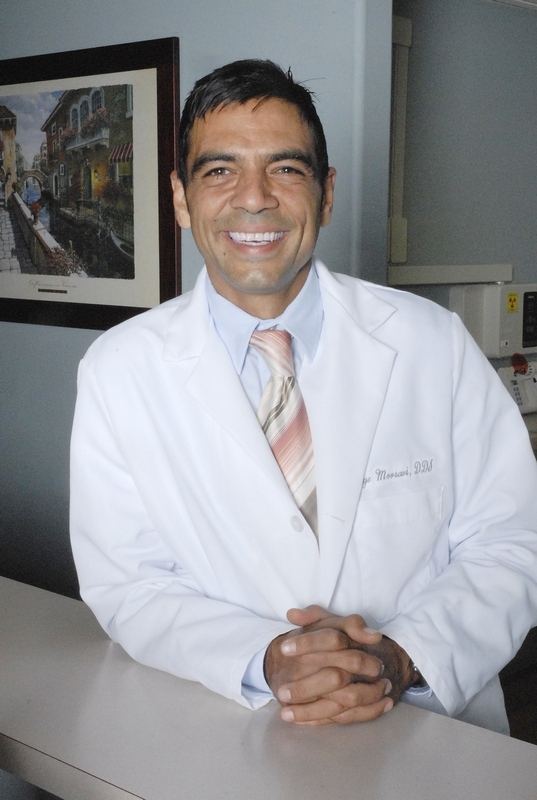 Dr. Moosavi proudly attended the prestigious USC School of Dentistry. He also holds degrees in Cell and Molecular Biology and Chemistry. In addition, he is an accomplished and published researcher and active member of the American Dental Association, California Dental Association and Western Dental Society. Beyond academical and clinical experience and expertise, Dr. Moosavi is an avid sports fan and himself plays on a premier Los Angeles Soccer League. He resides in Los Angeles with his wife and son.